Hi! Welcome to the homepage of the 14th MSX fair in Nijmegen! The MSX fair in Nijmegen is the newest (and by now the only) regular Dutch MSX fair, meant to be the successor of the MSX fair in Oss, which was held in January (in 2005 for the last time). This fair is organised by myself. I hope it is a worthy replacement for Oss. 2019's fair will be held on Saturday the 16th of February in our new venue: "Dorpshuis De Lèghe Polder" in Beuningen (a village close to Nijmegen). It opens for visitors at 10am (but you are welcome to come from 9.00am to help setting up the room!). At 6.00pm the room should be completely empty again. After the fair, we are planning to have dinner with the remaining visitors in the building that also hosts the fair. The caterer needs to know for how many people to cook, so please let me know if you want to join on beforehand. Please do not use the registration form for this, but just send me an e-mail. The form is only meant for people who want to register a booth. Because I have to order at the caterer, reservations are only confirmed by paying in advance. If you'd like to support the fair, there are two important ways to do that: the first is to promote the fair, to attract as many visitors as possible. The second is organizing activities during the fair. Please discuss with me on beforehand, but stuff like this makes the fair really interesting. Great examples of activities are the (in)famous MSX Quiz, the Triplex setup we had in the past, small (gaming) contests and stuff like that. Looking forward to your plans! As of 2016 you can also sponsor the fair financially. This means that you can contribute to pay the price of the venue. There is no other way the money will be spent and there is no other advantage on sponsoring. But it may keep organizing the fair possible for reasonable table prices. If you want to sponsor or support the fair, please contact me. For all previous and current sponsors and supporters: thank you very much, also on behalf of the people who registered booths and all visitors! the room is a small sports hall (gym), with a size of 14 by 25 metres, of which we will use 14 by 20 metres, giving an effective area of 280 m². there is a bar at which you can buy something to eat and drink for a friendly price. Note: please do not bring your own food or drinks, but buy them at the bar instead. free entrance; the booth holders pay per table. Cost: probably 2.5 euros per table, depending on the amount of booths. most tables are 60×120 cm, but due to limited availability there will be some variation. I highly recommend to bring your own cable (extenders). It would be nice if you could bring some extra ones for other booth holders as well. Let us know if you can do that. If you want to get an impression of the venue and the atmosphere there, take a look at some photos of the previous event. An online registration form is now available. Paper registration forms will not be available. The participants list will be updated as soon as registrations are received. Announcement of the 2019 fair. Website updated. Registration forms will be made available approximately two months before the fair. This announcement is nicely in time, because we were able to book the same venue as last year. I have heard a lot of enthusiastic reactions on last year's venue, so it was easy to decide to go there again. Today I met the new patron and we quickly came to an agreement. I hope to welcome you all again at De Lèghe Polder in Beuningen 16 February 2019! Playing famous MSX tunes on accordion. Demonstration of a new puzzle game for MSX2 that is in development. Demonstration of Carnivore2 with Zemmix console in 3D-printed case. Taking orders for circuit board manufacturing and 3D printing of parts for MSX hardware. Sale of 2nd hand MSX stuff (hardware and software) and demonstration of Philips MSX ISA PC Card working on a 486DX2 and a turboR with GFX9000 and Video9000 in one single case. Demonstration and sales of MSX games. This list will be updated as more participants register. Nijmegen is located in the middle-east (!) of the Netherlands, not too far from Oss, where a similar fair was held before 2006. It can be reached easily as well by car as by train. If you come by train, you should count on a bus trip through Nijmegen and Beuningen of about 20 minutes. The actual venue is in Beuningen, a village very close to Nijmegen. If you're coming by car, you'll need to drive to the center of Beuningen. Use something like Google Maps to navigate you to the right location. There is only limited parking near the building. Be careful that the building itself is just inside a blue zone, where parking is limited to only 2 hours (with parking disc). You are advised to park outside this zone, e.g. in the Schoolstraat or on the parking lot in the Beatrixplein. Use the following maps to get directions interactively from your location with the transportation method you use. 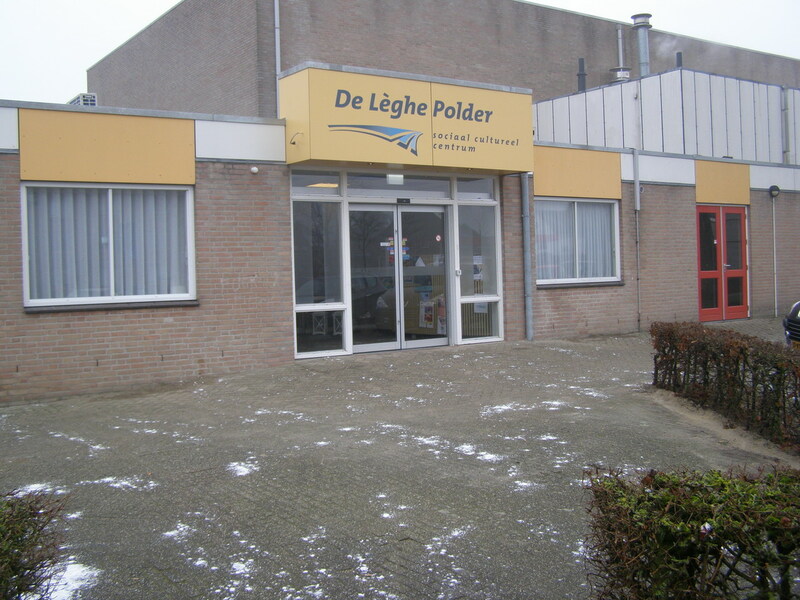 De Lèghe Polder on Google Street View. BOOTH SETUP AND TEARING DOWN On the day of the fair, you can start putting up your booth between 9.00 and 10am. Because of the expected "rush" and limited parking facilities I advise you to come as early as possible. We will make sure there is room near the door to do unloading. If you need help getting all your stuff in the room, feel free to ask the organisation for help. You have to have your booth torn down at 6pm at the latest as the room has to be utterly clean at that time. NO SMOKING You are not allowed to smoke in the building! The ones of you who can't get through the day without their nicotine shot (;p) can have a smoke outside the building at the designated location. SOUND As used to be in Bussum, also I would like to have a cosy fair where the old atmosphere of different booths competing for the best sound installation will return a little :). However, in case you intend to bring audio equipment with you, please let us know in advance for the planning, and keep it civilised. If the organisation asks you to lower your volume, be so kind to comply. Place speakers as much as possible behind the booth. FOOD AND DRINKS In our venue it is prohibited to bring your own food and drinks. This is quite fair, as the price for the venue is low, so this is how they make some money. Please stick to this rule to prevent problems with the patron. As the fair is in a gym, please refrain from drinking and eating there; do that at or near the bar instead.